We learned on Tuesday that 15% of Americans are living in poverty - 46.5 million Americans. What those statistics don't tell us is how many Americans living above the poverty line are barely surviving in this economy. That's what ALICE is all about. Who is ALICE? Do you know her? You probably encounter her everyday, even if you don't know it. ALICE is an acronym for Asset Limited, Income Constrained, Employed. ALICE households have jobs. They pay taxes. They are everyday Americans struggling to make it an economy that, four years into the recovery, is still very shaky. 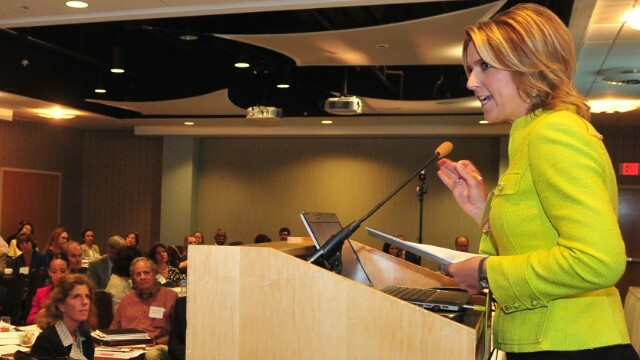 Christine Romans, host of CNN's Your Money, recently delivered the keynote address at a Rutgers University conference dedicated to building resilience for ALICE households. During the half-day event, leaders from academia, business, government, labor, and nonprofits came together to discuss the 1.1 million New Jersey residents struggling to make ends meet. That number, 1.1 million, comes from the ALICE project, a comprehensive research study released last year by the United Way of Northern New Jersey and a Rutgers University professor. It finds there are 769,900 ALICE households in New Jersey. Those are households with income above the federal poverty level but below the basic cost-of-living threshold in an expensive state. Add in the 312,762 households that are below the national poverty line, and you arrive at 1.1 million households struggling to afford housing, child care, food, health care, and transportation. That's 34% of the state's population or one in three households. New Jersey is a high cost-of-living state - the 4th most expensive in the nation, according to the Bureau of Economic Analysis. That's one reason why so many residents are struggling to afford basic necessities. Another reason, one that we've talked about a great deal on "Your Money," is the explosion of low-wage jobs. According to the ALICE study, more than half of all jobs in New Jersey pay less than $20 an hour. These jobs, including cashiers, health care workers, bank tellers, insurance clerks, teaching assistants, and security guards, are projected to grow at double or triple the rate of medium and high-skilled jobs in the state over the next decade. There are no easy solutions for ALICE: education, financial literacy, improved access to government and non-profit services– all of these were discussed at the conference. But the single biggest factor that will help ALICE households achieve stability is better-paying jobs. And right now the U.S. economy is failing to provide them. According to the National Employment Law Project, 58% of job growth during the recovery has been in low-wage occupations. If the trend is not reversed, it's not just ALICE who will suffer, there are consequences for every American when ALICE can't get by.